Casa Minerva is located at D. Cruzado Senior Extension Road, Barangay Guinhawa South, Tagaytay City, Cavite, Philippines. We are near the main branch of Bag of Beans, Soto Grande subdivision and Puzzle Mansion. 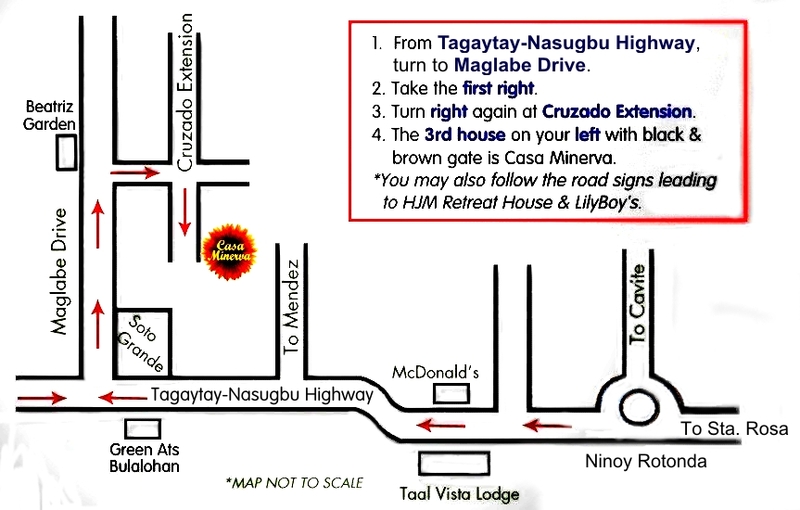 For driving directions, please call our caretaker (Gilbert) at +63967-6521570 or +63933-8268402. You may also print the map on this page. If using public transportation, one may take a tricycle from Mendez Crossing to get to Casa Minerva.